Learning fun with a legendary hero. He’s leading the war against Red Skull – and against English mistakes! Captain America loves justice. That’s why bad English upsets him. Every time you make a boo-boo, you bring your schoolwork down. But don’t panic! Here’s the perfect practice book to save you from those awful English errors. 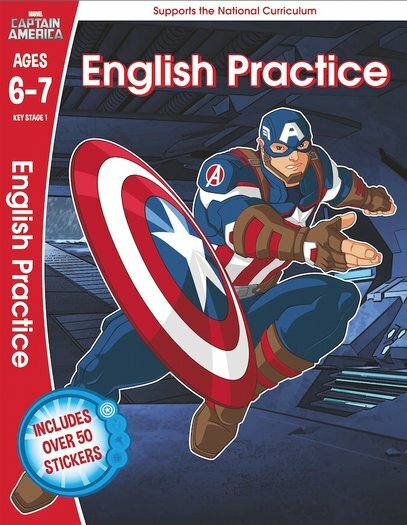 Heaps of cool activities which build your English skills – and your hero muscles.